"The best way to start your crop! Go for the highest yields." 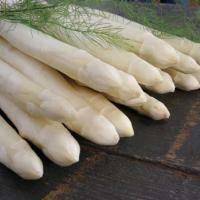 By opting for Select Plant asparagus plants certified by Naktuinbouw and grown in soils inspected by Naktuinbouw you know you will be starting your crop in the best possible way. Your crop will develop optimally. And if your plants meet all the requirements, you will be able to sell them under the Naktuinbouw Select Plant quality mark.